Collision photography is not about writing estimates from photos. Rather, it is the skill of documenting damage, repair processes and repair quality with images. Taking good images that show the subject is not as simple as “point and shoot.” Even though almost every person in a body shop has a camera (the iPhone is the most popular camera in the world), this does not make everyone a photographer, any more than placing a hammer in someone’s hand makes them a body technician. You may be thinking to yourself, “No, my images have nothing to do with whether I make money or not.” But, continue reading and you’ll see that your images can and do affect your bottom line in a variety of ways. First of all, your images are an important part of your overall file documentation. They’re every bit as important as the estimate of damages, OEM procedures, parts invoices, sublet invoices, tow bill, quality control checklist, etc. You should get into the habit of thinking about your images as “receipts” for the line items you bid on your estimates. As you’re reviewing your estimate and the images you’ve taken, ask yourself, “Do the images I’m including with the file clearly show the part or repair operation I’m including on my estimate?” If they do, move on to the next line. If they don’t, return to the vehicle and take additional images to make sure you take one that does. You might be thinking, “Well, if I do that, I’ll be taking too many images and the bill payer does not want that. Oftentimes, you can capture multiple estimate line items with just one image. Also, you should only include the very best image of the item or repair process. Uploading multiple images of the same thing can work against you. Keep in mind, your images should answer questions, not create them. The first cost from poor photos is actual money. Not completely documenting damages with images always costs you in lost labor and/or parts purchases. If you can see it, then you can get an image of it, so why don’t you? An insurance payment is not all you stand to lose. What about liability – the liability you may face if someone is hurt or killed in an accident where a repair may have played a part? 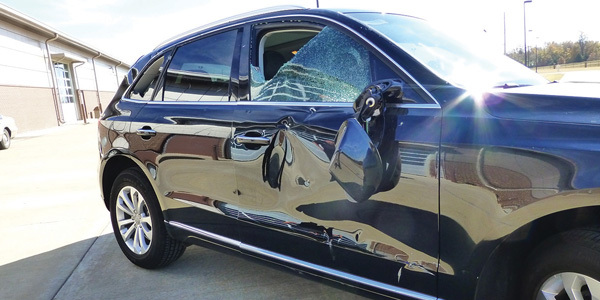 The ability to show complete visual evidence of the damages, repair processes and quality control may prevent a court date. What about time? 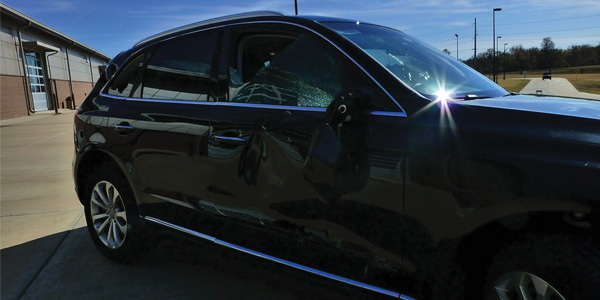 Poor images cost body shops billions of dollars in wasted time. Just follow an estimating blog on social media and you’ll quickly find out that most estimators spend a great deal of their time negotiating with claims adjusters. Completely documenting all the damage with images greatly increases the percentage of covered repairs and reduces time negotiating with insurers – and also results in better customer service as estimators do not have to bring the customer into those negotiations. What about the time technicians spend advising estimators on what they missed on the estimate? It’s the estimator’s job to understand how the vehicle is repaired, what methods are used in repairing the vehicle, and how to properly apply OEM and industry guidelines to the repair estimate and plan. Taking good quality images that accurately and completely capture all of the damage, required repair processes and finished quality of the repair work requires practice and also knowledge of your camera’s settings. It’s not as simple as pointing your device at the vehicle and pressing the shutter button. While today’s cameras and smartphones have done a fantastic job of simplifying the complexities of older cameras, knowledge of proper lighting, achieving proper focus and knowing how to frame the image correctly are all important skills to learn and practice. We don’t want to give you the impression that we’re advocates for any one device to take your images. Each device has its pros and cons that should be weighed and considered before making the final decision. Ultimately, it’s up to the individual management at the shop to determine what’s best for that particular shop. What we do advocate for is getting to know the device you’re using. Learn how to use all of the features of the device: ISO or exposure settings, flash settings, knowing how to focus where you need it to focus, zoom or telephoto feature, close-up or macro feature, etc. Once you know and understand all of the device’s settings and when to use them, you’ll be well on your way to taking higher quality images. On any given day, an estimator may take images in many lighting sources such as outside in the sun, inside under fluorescent lighting, and within the various compartments of the vehicle that are dark. Using the same settings in each situation will not produce the same outcome. For instance, many times, the built-in flash can work against you when you’re trying to show the severity of a dent in a panel. The flash can actually “fill in” some of the shadows you need to show. Think about this: if your daughter was getting married, would you hire a photographer or just have everyone at the wedding share the images they took? The reason we hire a photographer is because of their skill. The skill of knowing how to frame the subject of the photo and adjusting to the conditions is necessary for the estimators in the same way. Look at the image in photo 1 – the camera automatically chooses a focal point (subject) and, because of the bright sunlight behind the image, adjusts the ISO, reducing the amount of light into the camera and causing a large shadow to hide the damage. The subject of the image is very underexposed, while the surrounding area is correctly exposed. In photo 2, the focal point was adjusted by the photographer to increase the amount of light and remove the large shadow. The subject of the image is exposed correctly, while the surrounding areas are overexposed. Consider using reflections from the surrounding area to “bring out” the damage. If you’re taking your images outside, to show the damage, consider using the painted parking lot lines or light poles, telephone poles, sign posts or other types of objects that are commonly known to be straight lines. By using a reflector board, the damage is more easily seen. If you’re inside, reflections of the horizontal and vertical lines of a block wall or the reflection of an overhead light fixture can be used. You should avoid using objects that are not symmetrical in your images, such as trees, bushes, people, etc. These reflections can also work against you. Smartphones, tablets and digital cameras all have the settings to take great images. A person’s skill at taking images is not defined by the camera. Stevie Ray Vaughn could have made a $20 guitar sing the blues. This is really a question of what works best for your shop. Do your estimators take all the images? Do you have CSRs, estimators, blueprinters, technicians and managers taking images throughout the process? What is your budget? What will actually last in your shop before you have to replace it? Consider all of these questions and realize that smartphones, tablets and digital cameras are designed to take the skill out of taking images so everyone can take decent images of their family, dogs or food (we all have that friend on Instagram). 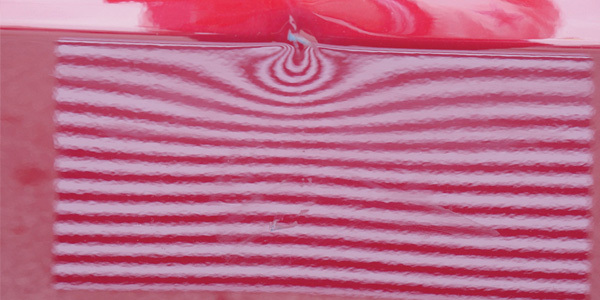 Because of this, all these devices attempt to guess at the image taker’s intended subject. This is the reason photo 1 has such a dark shadow over the intended subject area. We recommend that no matter which camera you use, each person using it should understand the basic settings and how to adjust them to get the best images possible. By reducing the time spent negotiating with insurance companies, and allowing the technicians to perform the repairs instead of having to stop to educate the estimator, many labor hours are saved and can be applied to earning money rather than collecting it. Shops that capture all of the repairs and processes required to complete the job with complete photo documentation see an increase of dollars captured per estimate. 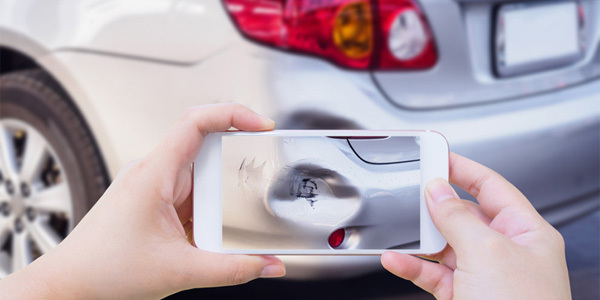 We’re not saying that taking better photos will magically earn you more money, however, taking complete and strategic image documentation of the damage and repairs to a vehicle is essential to being a successful and efficient estimator. Continuous learning is necessary for effective estimating. Remember, the estimate becomes the invoice, so write invoices.